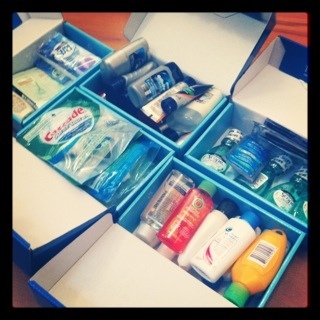 Most of the free samples came from the brandSAMPLER packages – I have been collecting them for the past year or so. They seem to have them every few months. 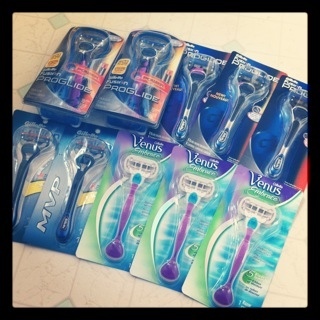 Onto my favourtie freebies – RAZORS! I love free razors. These came from various places. If I happen to see more I will be sure to post the link on the site. It was nice to get this stuff cleaned up. Got some free space under my bathroom sinks – not so scary to open anymore. This entry was posted in freebies, organization, samples and tagged cleaning, free samples, freebies, organization, samples on October 30, 2011 by Courtnie. Let me start this by saying I already hate the Real Canadian Superstore for many reasons and today’s experience was just the cherry on top of the icing on the cake. This was actually only my third trip in the store in at least the past year. I went into Superstore just because I knew they had coupons. I noticed that a lot of their coupons are in store only. After quick Google search I read on mrsjanuary.com that Superstore does not allow coupon stacking – but you can combine an in store coupon with a manufacturer coupon according to the site. I thought I would try one before getting too carried away. Superstore had some different in store Dove coupons and I have a couple different manufacturers coupons from tear pads. All Dove products were $2.99. 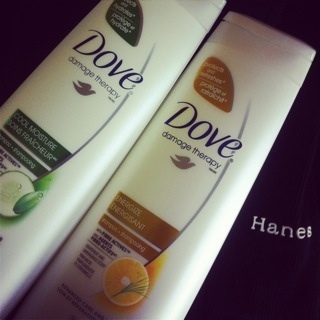 They had a in store coupon for $1.50 off a Dove hair product and I had another for $2.00 off any 2 products – making it $0.49 plus tax each. I went up to the till with my two bottles of shampoo and the girl didn’t even think twice. She rang it all in and I paid $1.34 for the two bottoms of shampoo. I thought it was pretty awesome, so I went back and got two more bottles of shampoo, two men’s body wash and two men’s deodorant. The bottles of shampoo should of been the same 49 cents while the men’s products would of been 99 cents. Went back to the till to find huge lines everywhere. When I finally got up to the till I put my products down and handed her the coupons. She immediately flipped them over and goes you can’t do this, this says “one coupon per person.” I tried to explain that they were all different and some were in store and others were not. She said it didn’t matter – I could only use one coupon and I couldn’t combine them. I politely told her I didn’t want the items and that I would shop at a store that would accept my coupons. She really didn’t seem overly impressed with me – almost like she was juding me for trying to use some coupons. Honestly, why should I pay $2.99 when I only need to spend 99 cents? That is a savings of $12.00 on six items. I have enough other coupons that I can still get the men’s products for 99 cents at Save on Foods. They also happen to have the Dove products on for $2.99 – I just can’t get the regular Dove products or the 49 cent shampoo. Maybe I am not extreme enough, but saving that extra little bit is not worth fighting with the people on the till. Or standing in HUGE line ups only to be rejected. After Superstore I went over to Walmart and used some Hanes coupons on some clearance products. At first she didn’t want to accept my coupons either saying they didn’t accept photocopies. I told her they were printed off the website – after talking with someone she decide she could them. This entry was posted in coupons, deals, walmart and tagged coupons, walmart on October 30, 2011 by Courtnie. 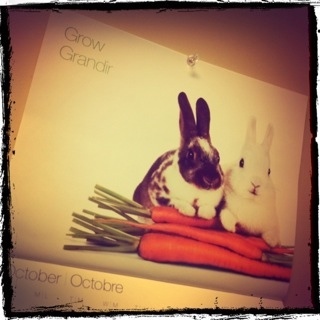 One of my favourite freebies – 2012 Telus Calendar! I look forward to ordering and receiving mine every year. Such a cute calendar. EDIT: I am not Telus and I am not sending out the calendars, you must click here to order your calendar. This entry was posted in freebies and tagged freebies, fun on October 28, 2011 by Courtnie. My first day with a blog and I already have some cool things to post. Well they are cool for me. Today during our lunch break my friend/coworker and I walked down to the local Shoppers Drug Mart to browse. While down there we manged to find a couple decent deals to try out our newb couponing skills. I have only tried my hand in couponing two or three other times – so this really is new to me. I am not really interested in building a stock pile and taking up half my house with stuff I will never use all of. If there is a good deal and it is something we use I might buy a few (guess it depends how long said item lasts) – but I don’t want to store and move this stuff around for the rest of my life. Stuff will always go on sale and there will always be coupons – I really don’t need to fill my house with enough supplies to open a store. 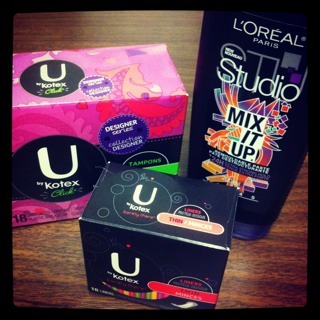 I never in all my life would of though I would one day upload a photo of feminine hygiene products on the internet. Kinda weird. When I came home from work today I had TWO freebies waiting for me. Two incredibly AWESOME freebies might I add. This doesn’t happy often or ever, especially like this. Perfect timing for the new blog. Super excited to try these out. Both of these products came from Facebook offers. The La Roche-Posay Toleriane Ultra came from their Facebook page – you had to tell them about your sensitive skin and they picked 1000 people to receive the product. 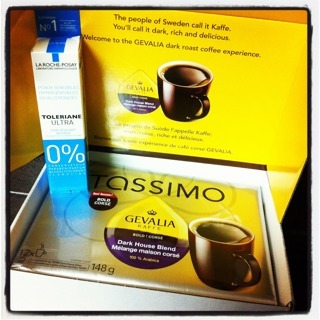 As for the Tassimo Gevalia Dark House Blend T DISCs – you simply had to be the first of so many people to like their Facebook page (and fill out the form) to receive the T DISCs. Pretty sweet – I was expecting one to try not a full package of 12! Super awesome and packaged so nicely. Looking forward to trying both of these products out! This entry was posted in coupons, deals, freebies, shoppers drug mart, shopping and tagged coupons, deals, freebies, shoppers drug mart, shopping on October 26, 2011 by Courtnie.